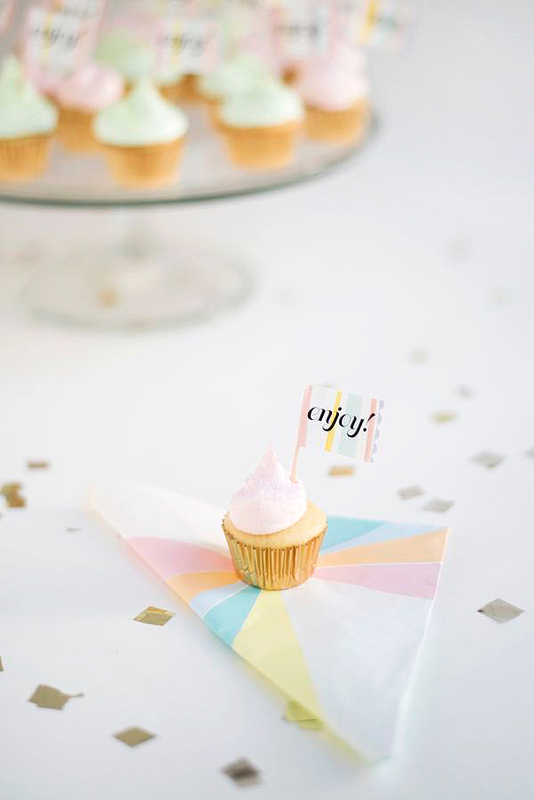 Need a lot of cupcake toppers and need a fast, fun and easy way to make them? These are printed on label paper, and are first personalized with watercolors of your choice. The template here prints out ENJOY!, a message good for any occasion. 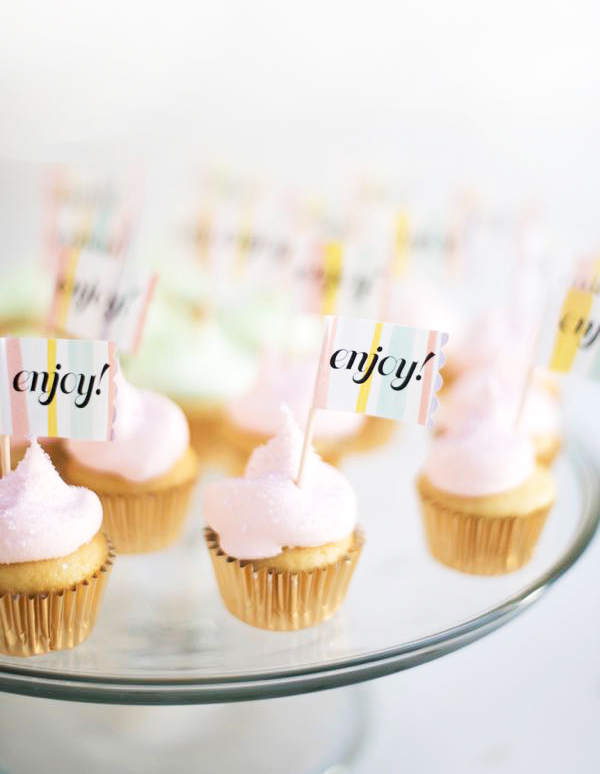 But it’s also so easy to customize this with a monogram, a hashtag, or a date. Just use the label maker template in your Word program, and push the letters to the right side of the column. You’ll be churning them out in no time. 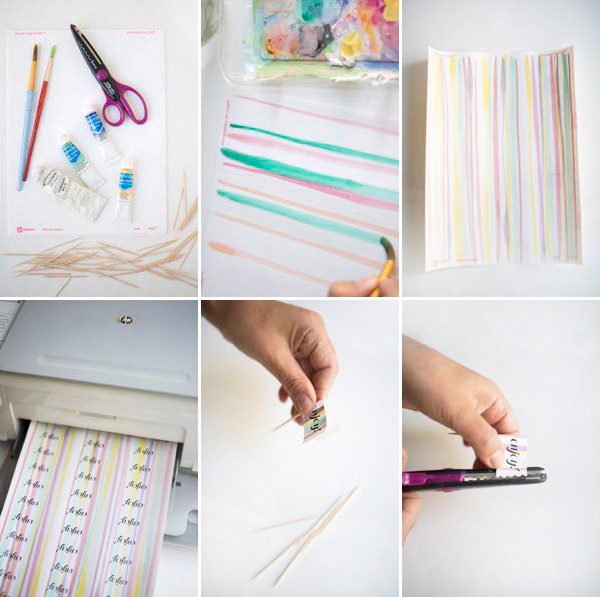 Materials needed: Avery size 5160 label sheets (or compatible), enjoy toppers template, watercolors, paintbrush, toothpicks, scalloped scissors. Step 1: Orient the sheet of labels in front of you horizontally. With a mixture of watercolor and gouache, paint stripes from left to right. Start with one color and repeat down the page. 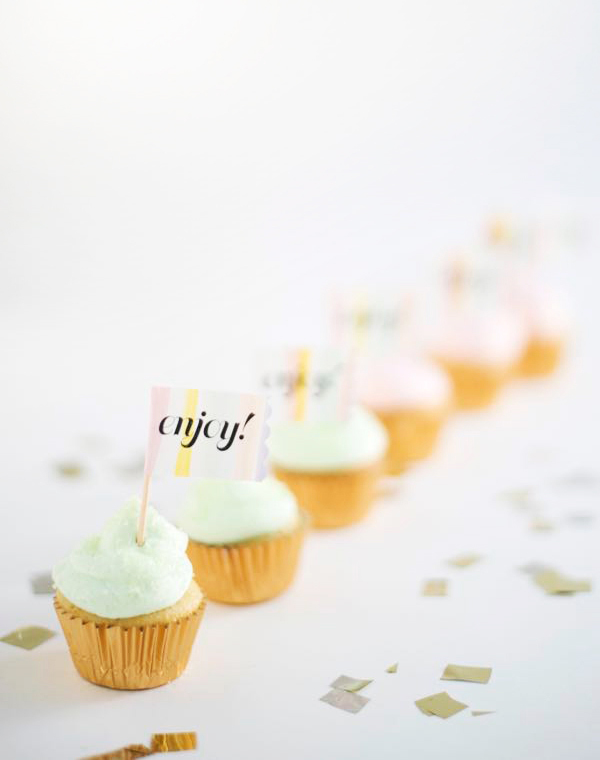 Step 3: Print the enjoy toppers onto the water-colored sheet of labels. Step 4: Peel off the labels and fold each label around a toothpick. Step 5: Using a scalloped scissors, cut the edge of each label. That is a very cute idea, I love it! That´s such a great idea! How do you always come up with these cute and funny ideas?? These are so pretty and totally doable! 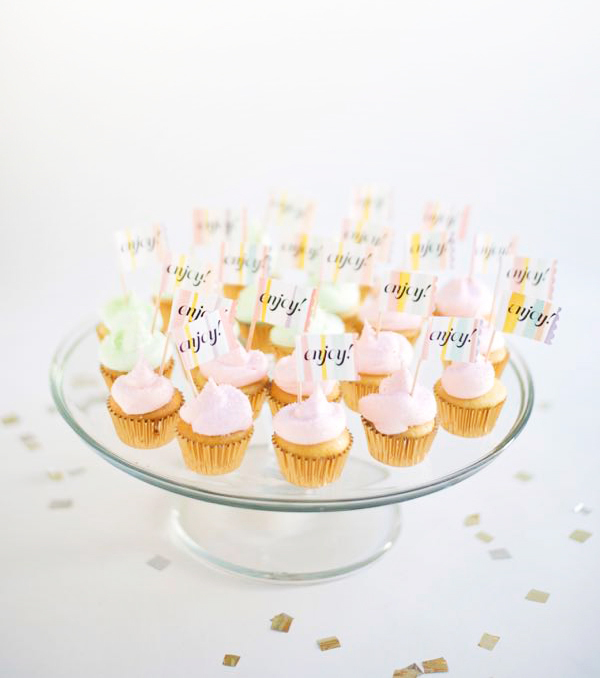 These cupcake toppers are super cute! I’m obsessed! What printer do you recommend for high quality printables? What printer do you recommend for high quality printables and cards?